demand in almost all markets. after over the two past weeks. 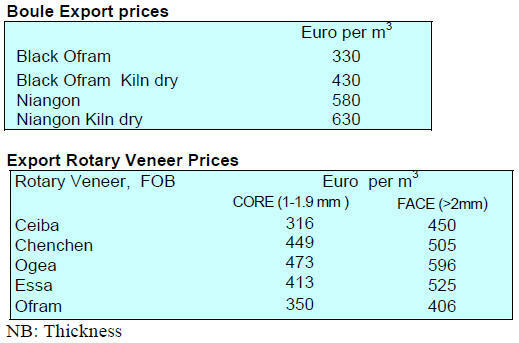 dampen prospects for early FOB price increases. might be either scrapped or implemented”. milled but not shipped before the export ban. of a Ghana ‘Beyond Aid’. triple annual port capacity by mid-2019. industry is the lack of skilled workers. state, has been banned with immediate effect. out of business because of a log shortage. investment in downstream manufacturing said Hwong. beginning of a new era in the timber industry in Sabah. 90% of certified tropical timber products by 2020.
the Netherlands as an ideal European trade hub. replaced by an opposition coalition. were around the same as in the same period last year. barriers for the local industry. already SVLK certified raw materials. huge step forward for Indonesian forestry. 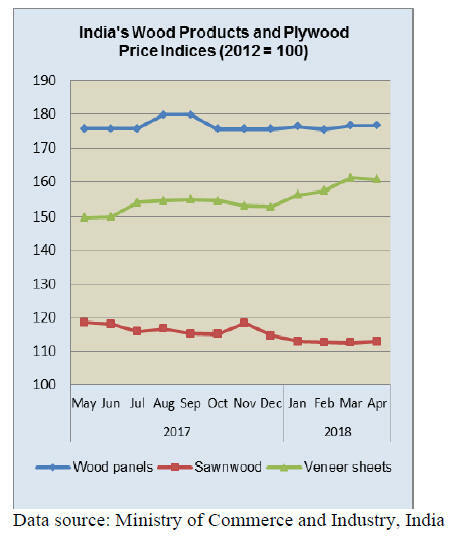 competitiveness of the national plywood industry. costs can make up as much as 60% of production costs. 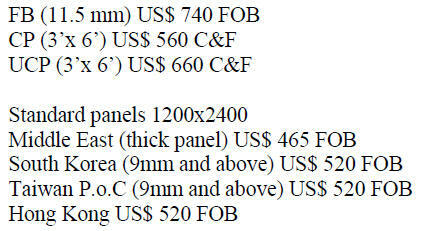 manufacture and export of downstream products. 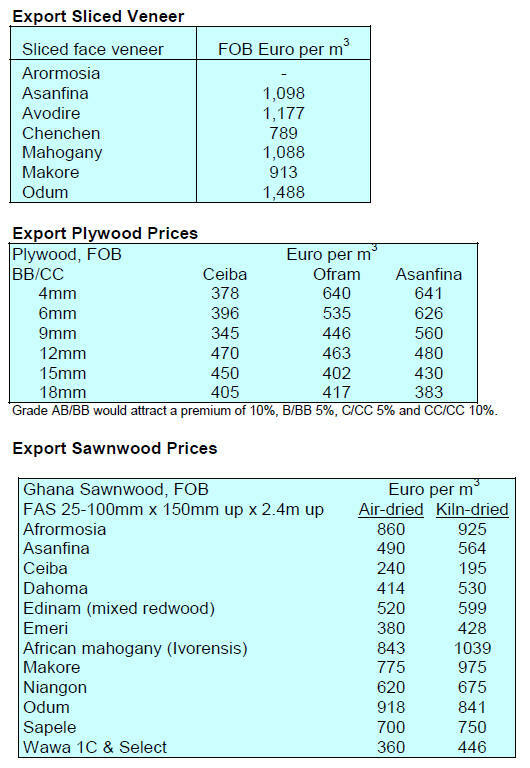 export logs attract high prices. same period in 2017 (10.95 million cubic metres). 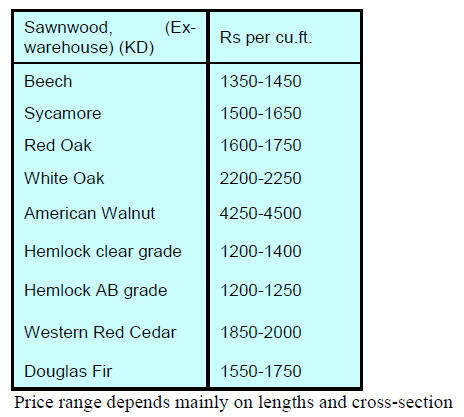 production will rise as log prices at present are good. will be around 10% more than last year. markets accounted for over 80% of total exports. transition to the new beginning and end of the fiscal year. the country two years ago. 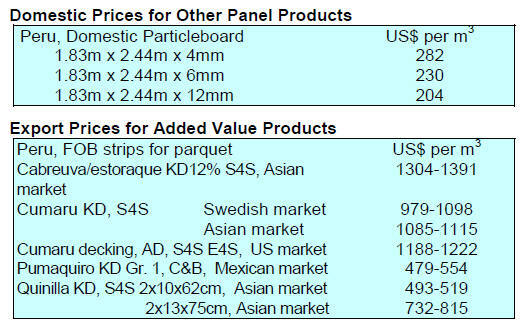 plywood, blockboard and wooden box/crate (1% each). 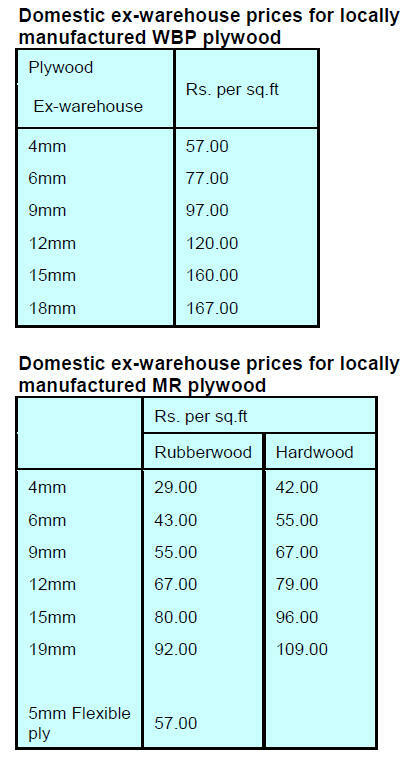 May domestic manufacturers lifted prices for plywood. almost its all-time low of 68.825 recorded in August 2013.
year making it the most vulnerable Asian currency. rate cut by the Reserve Bank of India. consumer sentiment, consumption and investments. lot of 14.898 tonnes of A grade were sold. have around 7,000 hectares of red sanders. 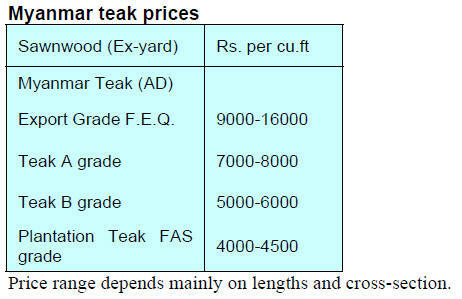 from sales in Andhra Pradesh. -Top end girth of 36 cms or above. according to the following characteristics. rupee against the US dollar has been sliding. on offer and are gaining market acceptance. veneers can be increased in the medium term. major impact on production and profitability. despite the very negative response by the market. increase in the building of wooden homes. are factors propelling the market growth. 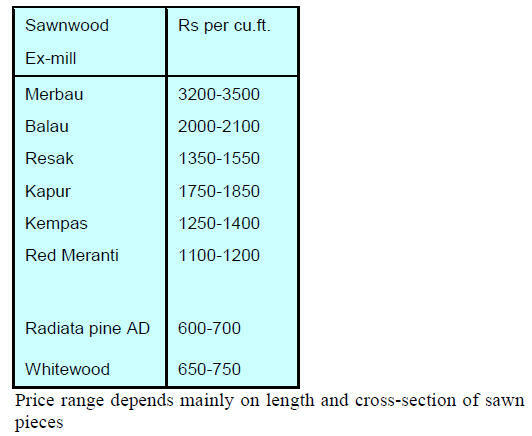 developing markets for cross laminated timber. good source of raw material for CLT production. Brazilian Association of Technical Standards. the same period, from 187,700 cu.m to 233,000 cu.m. 31,000 cu.m in April 2017 to 46,200 cu.m in April 2018.
million to US$20.2 million over the same period. US$40.6 million to US$68.3 million. period, from 146,800 cu.m to 198,500 cu.m. March 2018 an almost 19% rise. sales in the first four months of this year. Grande do Sul was +12%. Bois to be held in Nantes 30May to 1 June. so as to increase exports from Mato Grosso state. opening up new market opportunities”. sector ranks in the 4th in the state economy. Santiago in 2020 and expand into Lima and Bogotá. Fair (IWF) 2018 fair to be held in Atlanta. revamped legal framework that now supports the sector. acknowledged by the Ministry of Environment. (NDC) climate action plan under the Paris Agreement.